Solve The 200 Year Old Mystery With HISTORY®’s Latest Breakout Hit, The Curse of Oak Island... 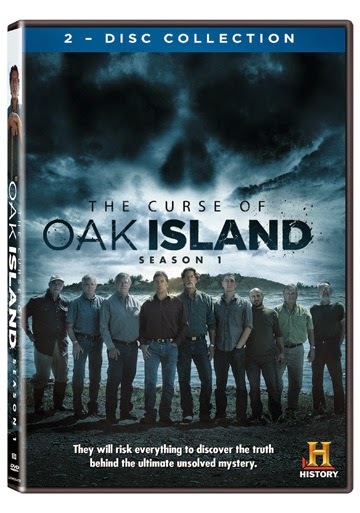 Witness a dangerous search for hidden treasure when HISTORY®’s latest breakout hit, The Curse of Oak Island™, arrives on 2-disc DVD September 9 from Lionsgate Home Entertainment. From the same producers who created HISTORY®’s highest-selling franchise, Ancient Aliens® — this fascinating adventure follows two brothers as they attempt to find hidden treasure on Oak Island, a search that has eluded the likes of John Wayne, Errol Flynn and Franklin D. Roosevelt. The Curse of Oak Island™ includes never-before-seen-on-TV bonus footage. The Curse of Oak Island™ from HISTORY® introduces viewers to a small island off the coast of Nova Scotia where two obsessed brothers are attempting to solve a 200-year-old mystery. 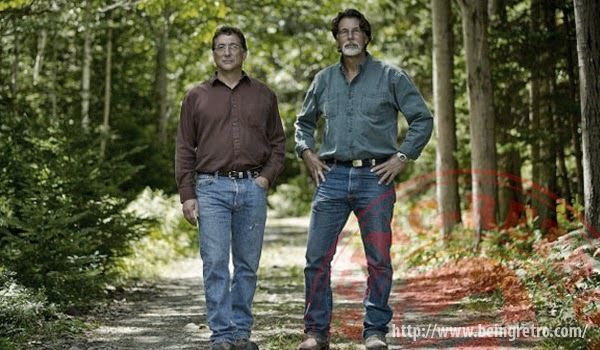 Rick and Marty Lagina own most of Oak Island and are determined to find the treasure alleged to be buried there — despite the fact that the island is rumored to be cursed. Legend says seven people must die before the treasure is revealed, and so far, six have lost their lives in the pursuit. Rick and Marty explore an abandoned shaft, a cove, and even drain a swamp to find the booty, and what they uncover is enough to make them believe the rumors may be true. Undeterred, even after a visit from a woman who lost her father and brother in a tragic accident on Oak Island years earlier, the brothers press on and make one of the biggest discoveries ever.